After more than a decade of drafting and editing, California is poised to finally update its wetlands regulations this spring. The effort, which began after a pair of Supreme Court decisions limited federal wetlands protections, could be finalized just in time to insulate the state from a Trump administration proposal restricting which wetlands and waterways are protected by the Clean Water Act. California State Water Resources Control Board Chief Deputy Director Jonathan Bishop said the administration's Waters of the U.S., or WOTUS, rule "has little to do with our process." But, he said, "It does highlight the need to have clear rules for Waters of the State so that no matter what happens with WOTUS, we are still protecting these important features in California." 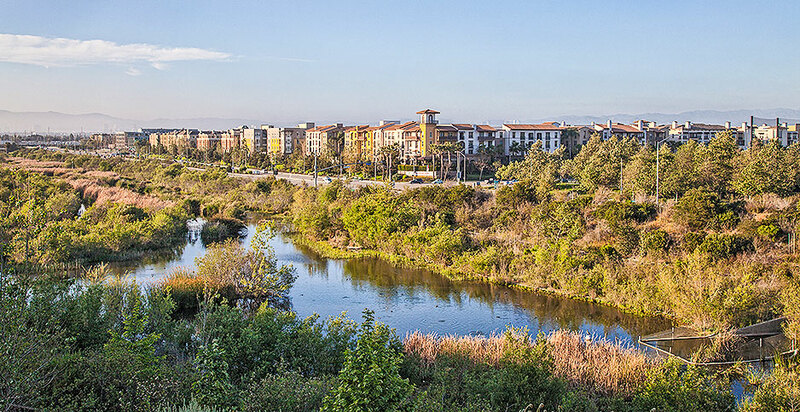 The Golden State historically has protected most of its wetlands using a procedure similar to that used by the Army Corps of Engineers for determining what is a wetland. Both the state and the Army Corps require that projects seeking permits to disturb wetlands first try to avoid and minimize impacts. Unavoidable wetlands destruction must be offset by paying to restore similar nearby wetlands. But those practices had not been codified in regulations, leaving wiggle room for the state's nine regional water resources control boards to come to different conclusions about what constitutes a wetland and what actions developers must take to minimize their impacts. "We always had authority to protect wetlands and were doing it forever, but there wasn't a set of rules written down," Bishop said. 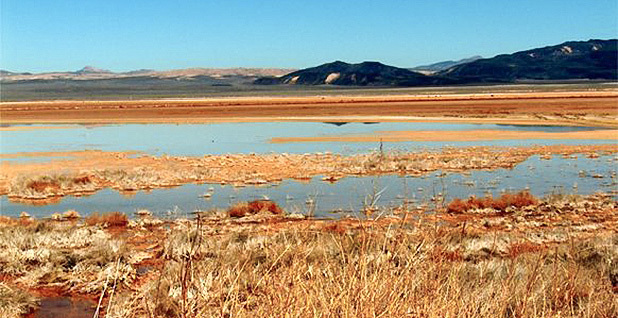 In 2008, the California water board directed staff to establish standardized rules defining which wetlands are protected by the state and what it takes to get a permit. The move followed U.S. Supreme Court decisions Solid Waste Agency of Northern Cook County (SWANCC) v. U.S. Army Corps of Engineers in 2001 and Rapanos v. United States in 2006, which limited federal Clean Water Act jurisdiction over "isolated" wetlands without surface water, chemical, biological or hydrologic connections to downstream waters. Bishop said the decisions brought "clarity" that California wanted to protect wetlands that the Clean Water Act would not. "We needed to develop rules and procedures to address those," he said. The 10-year process of revamping regulations was longer than anticipated. Bishop said that's because the state water board is committed to making sure regulators understand the "practical, on-the-ground implications of how our rules and regulations affect people." "It doesn't mean that we are going to agree with everyone, but we do need to understand it," he said. "That's why it takes a long time." One point of contention with industry groups: the definition of a wetland. Federal rules define wetlands as having standing water for at least some of the year, vegetation that is common to wetlands and "hydric" soil that shows signs of being wet part of the year. The proposed California definition, however, would consider an area a wetland even if it doesn't support wetlands vegetation, as long as it has enough standing water and the right kinds of soil and doesn't have any other kind of vegetation that would indicate the area is an upland. Such a definition is meant to "account for wetlands in arid portions of the state." It would label features like playas and mudflats "wetlands," while the federal government would either not regulate them at all or regulate them as "waters" rather than wetlands. Cliff Moriyama, a homebuilding industry lobbyist who has helped organize groups opposing the regulations, said having two different definitions is too confusing. He worries about a scenario where the Army Corps approves a project permit with minimal impacts to federally regulated wetlands, only for state regulators to say the project affects unvegetated California wetlands. Such a discrepancy, he said, could cause confusion among developers and make it more difficult for them to calculate upfront how much they would have to spend on wetlands restoration to mitigate project impacts. "The fact that you're dealing with two different definitions of a wetland makes it really difficult to figure out what that baseline would be for potential mitigation requirements," he said. "It's almost like we could have dueling regulations." Board staff published their final draft of the regulations at the end of last year. The board held a public hearing last month, and is now expected to vote on the rules in March. If all goes to schedule, California's rules could be finalized in time to insulate the state from the Trump administration's WOTUS proposal, which would erase protections for the 51 percent of wetlands nationwide that do not have relatively permanent surface water connections to streams. Rachel Zwillinger, water policy adviser at Defenders of Wildlife, supports the state's effort and says it has "taken on new urgency" in the face of Trump rollbacks. "There is widespread understanding that some important California wetlands and waterways are slated to lose federal protection, and the state role is going to become increasingly important," she said. The Trump administration has justified its rollback of Clean Water Act protections, in part, by claiming that states have the resources and wherewithal to decide which resources are worth protecting and implement regulations to do so. Critics of that approach have argued that many states don't have the political will or funding to beef up wetlands protections (Greenwire, Jan. 21). Zwillinger says California's decadelong experience shows that updating regulations can be complex and take time even in states where politicians agree on the importance of protecting wetlands. "This shows that relying on states alone to enhance wetlands protections is no easy task," she said.